Where Are The Planets? Get Current Planetary Positions Now! Current planetary positions information can help you plan your life with astrology. With just a little practice, you’ll be able to read the current planets chart below and use it to manage planetary positions and their energies for your benefit—and to help others. The Current Planets chart shows exactly where the planets are, and it updates in real time whenever you refresh your browser. NOTE: Check the time on the Current Planets chart above to see if the minutes are the same as the current time in your location. If they are, you have the latest data. If they’re not, simply refresh your browser to get up to the minute data! Take note if a given planetary position today is in the same sign and degree as a planet in your birth chart. In that case, the energy of the transiting planet will create a powerful effect by combining its energies with those of the birth planet. You can find out about any planet and zodiac sign listed here in my astrology articles section. See the "Find Out More About The Planets" section below for guidance. The time is given as “UT/GMT,” which means universal time. It’s the same time as Greenwich Mean Time, which is named for Greenwich, England (the reference point for time keeping, located at 0 degree of longitude). The time is exact at the moment you access this page for the first time. After your first visit, in some cases you may need to refresh your browser as soon as you get to this page to get the current time and planetary data update. All the information will update, instantly, to the current data, whenever you refresh your browser. 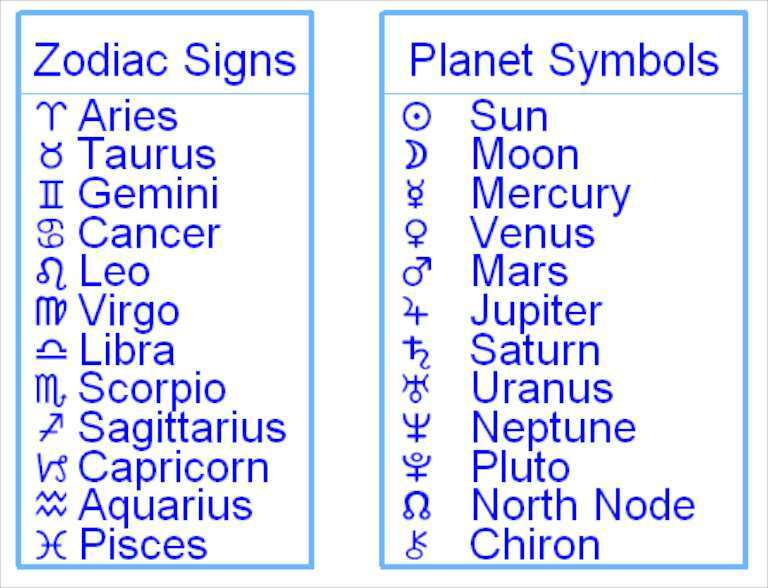 The first and second columns list all the major planets’ symbols and names. The third, fourth, and fifth columns, which show the planets’ exact location to the degree (third column) and the minute and second (fifth column) of arc within a particular zodiac sign (fourth column). If you see a lower case “r” to the immediate right of a planet’s current zodiac sign position information, that means the planet labeled as such is retrograde. (Meaning that it appears to be moving backward in the sky, from our perspective on Earth.) Find out more about retrograde planets—what they mean, how to make the most of these introspective periods—in my Mercury Retrograde article. Read on for tips on what to do next to begin understanding the planets, the symbols, and your personal astrology. To find out more about any of the planets, go to my astrology articles section elsewhere on this site. For any planet, reading about the sign associated with it will give you a good sense of its energies and how they express themselves best. Also, look for the special guided meditations for each zodiac sign in the astrology articles section. 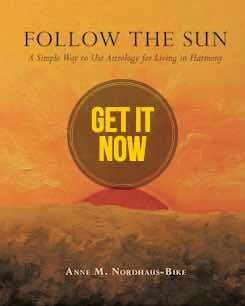 Those will take you even deeper in understanding the signs, planets, and how to work with their powerful energies to help yourself and others. See this example of a guided meditation for Libra. To see where the planets were when you were born, go to our free birth chart page. For even more about your chart and your personal astrology, get one (or more) astrology reports. These customized reports will give you all your planetary positions as well as interpretations for what each one means, based on the sign and house it occupies.